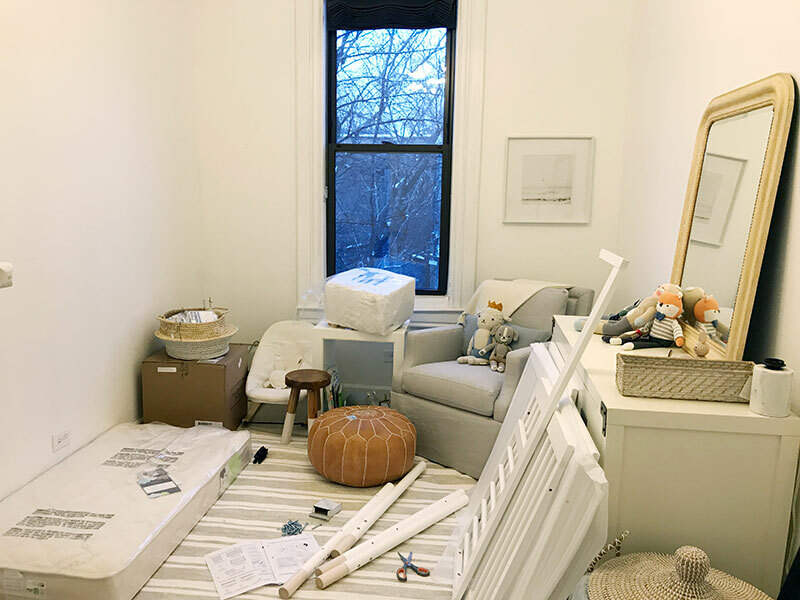 I’ve had a clear idea of what I wanted the nursery to look like since day one – before we knew we were having a boy. It was always going to be rooted in neutral furniture – white, grey, beige, and light wood – with brass accents and then accessories in either light blue or blush pink. Easy enough. Choosing the furniture was also pretty easy. 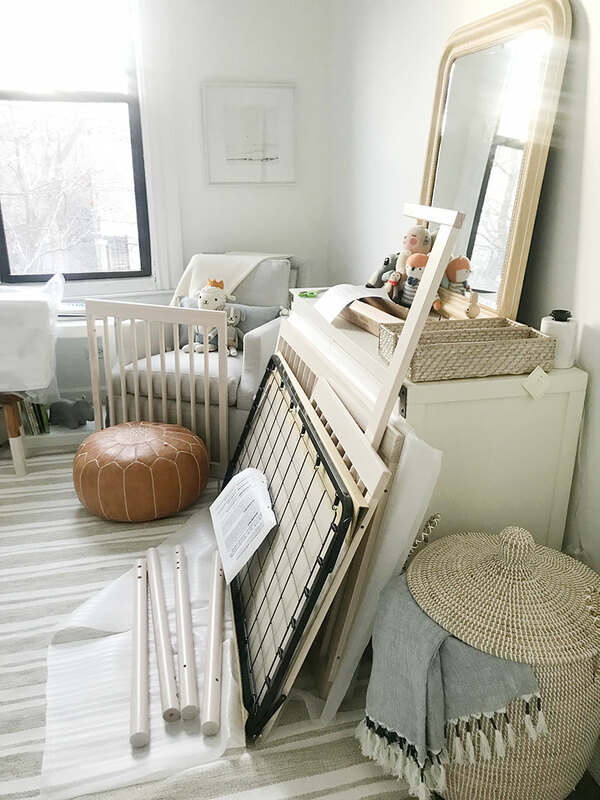 I’ve always loved a campaign dresser so we ended up with this one from Wayfair. This glider from Serena and Lily is heaven and I’ve almost fallen asleep in it both times I sat in it and started rocking. The crib I was a little back and forth between about before realizing the most beautiful crib ever was staring me in the face. Now that I’m down to the final details of the room, I’ve been having a more difficult time choosing. 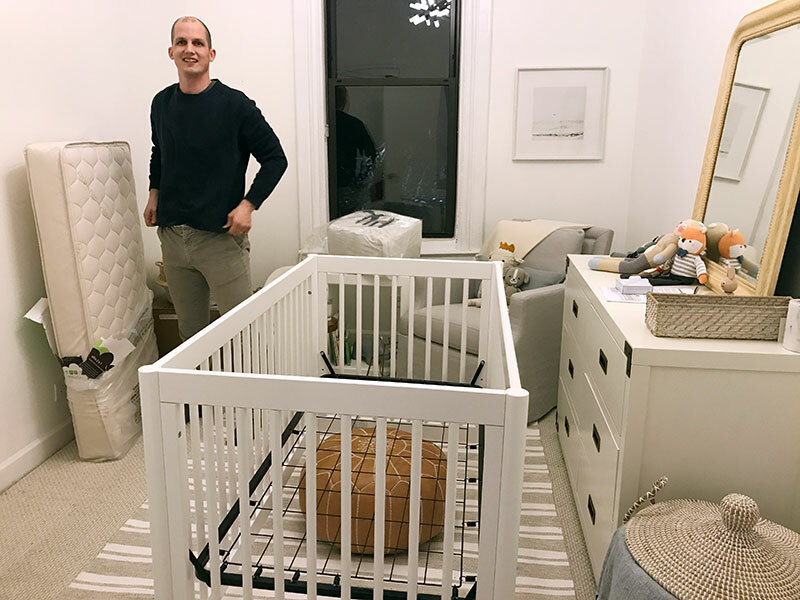 This week Dan and I put the crib together! A very surreal moment – something I’ve seen in movies and TV my entire life and now it was my husband and my pregnant self doing it. 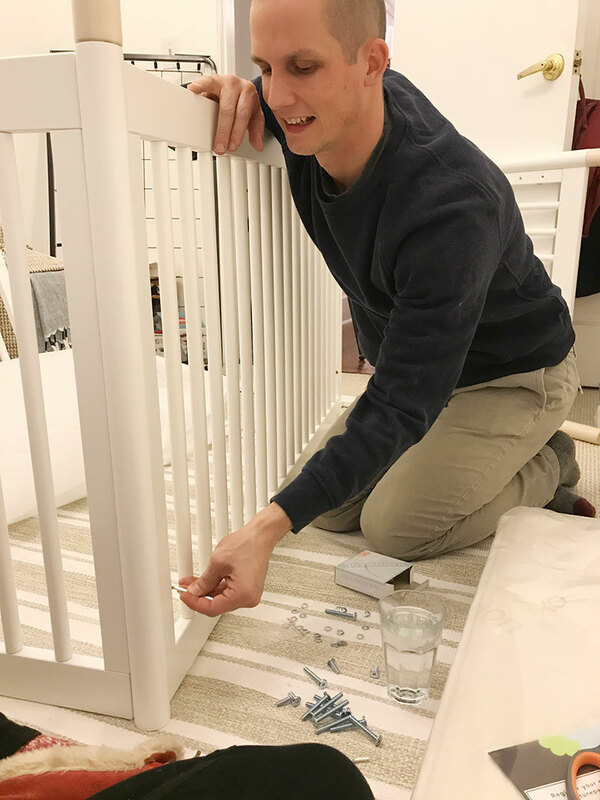 Well, first we had the wrong crib show up… well, the right crib, but the wrong color. 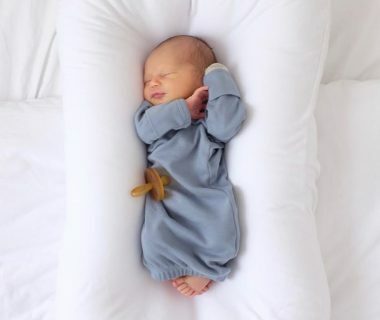 I was so excited I didn’t even realize it for a few hours–Danielle had to point out that we ordered a white crib! Oops. 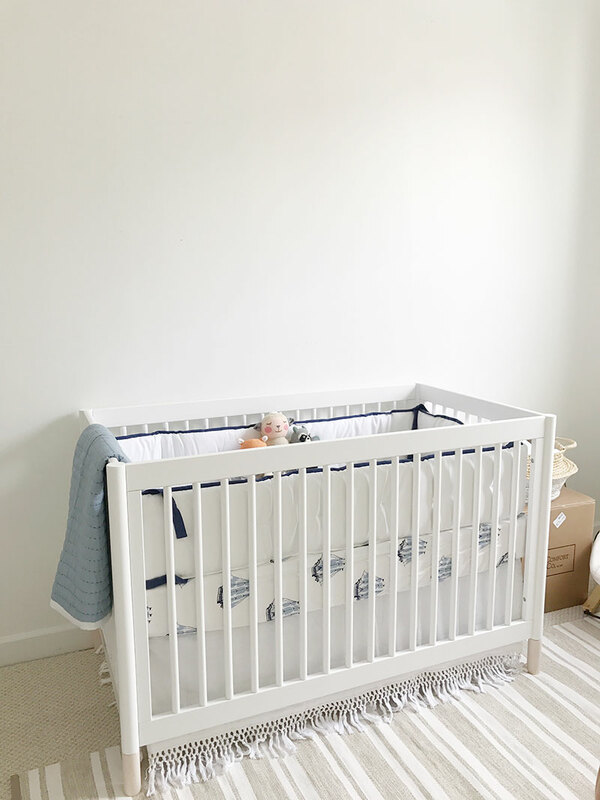 A couple days later, said white crib arrived. And Dan and I got to work. So let’s talk about the art! First off, did we want one giant piece of art? 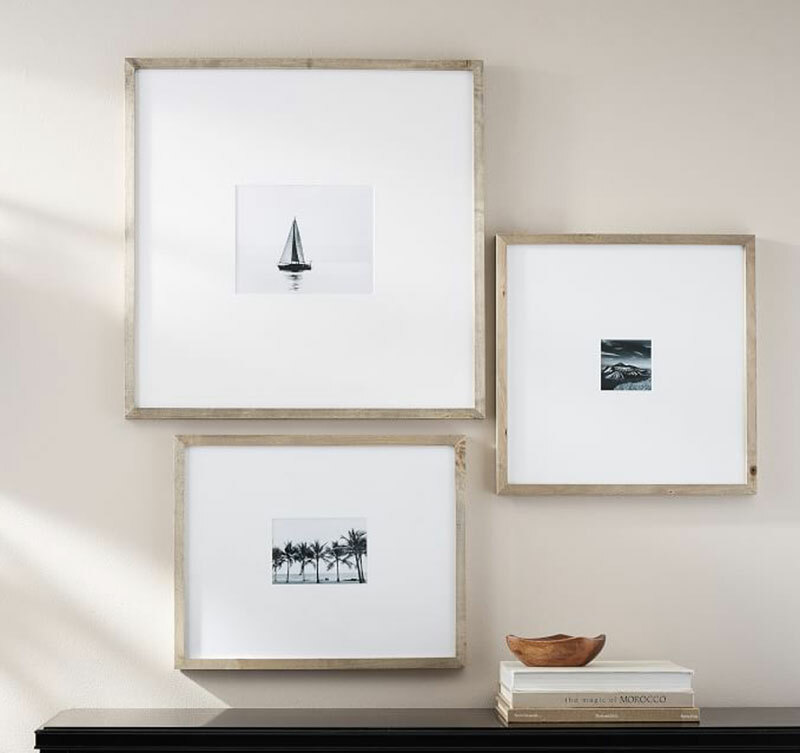 Two or three large frames? 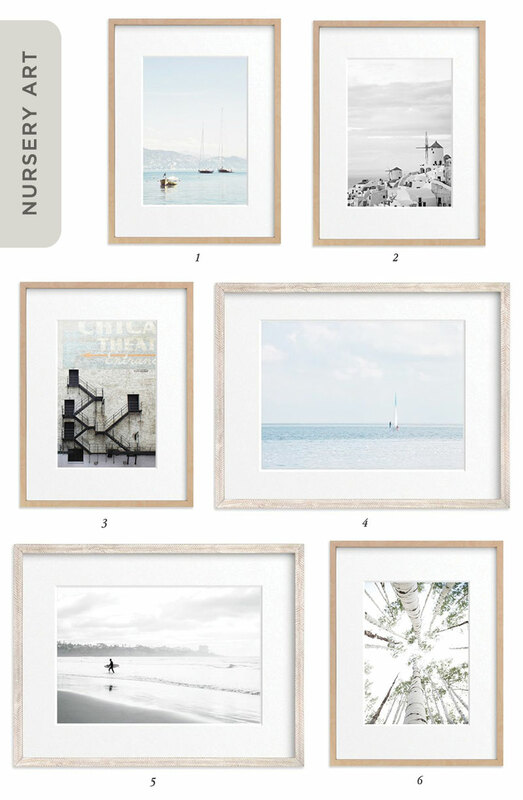 Or a grid of smaller frames? 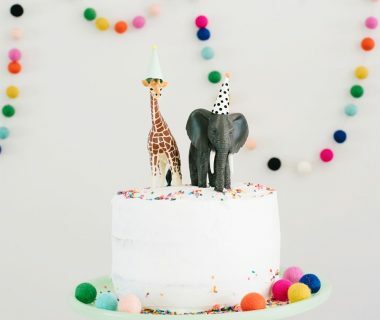 I’ve loved Sharon Montrose’s Animal Print Shop for years! 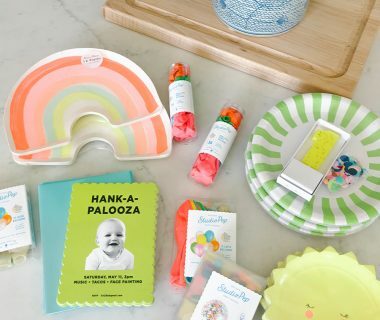 They’re a popular choice for nurseries with good reason. 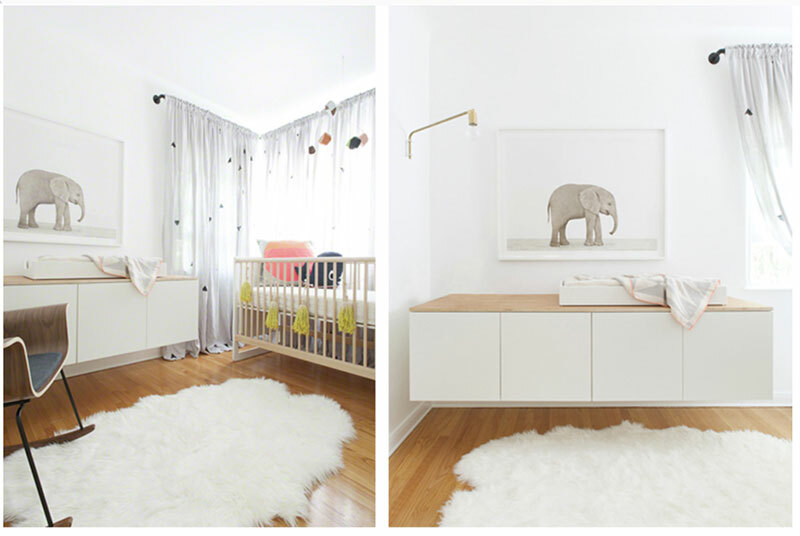 I even had her Ostrich and Egg print in my living room and then kitchen a few years back! The real question is – how could I ever narrow down these cute faces?!?! Do I do three slightly larger prints? Or six smaller prints? Ah the choices! 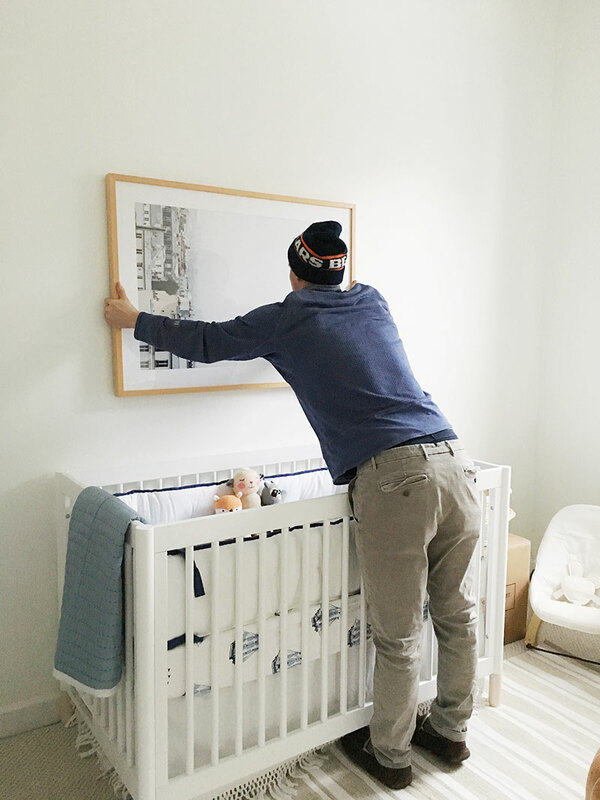 I thought I might just go with my fail-proof two or three of these oversized matting frames above the crib – like we have in our master bedroom – but I’d do the light wood option. I’d either frame personal photos in black and white, family or baby photos, or Sharon Montrose prints! We are going to be going with one large 30×40″ print… but which one, you’ll have to wait and see!